Cruise Critic is known for its expert advice on the cruising industry, providing insight on all styles and sizes of ships to itineraries that sail everywhere around the globe. 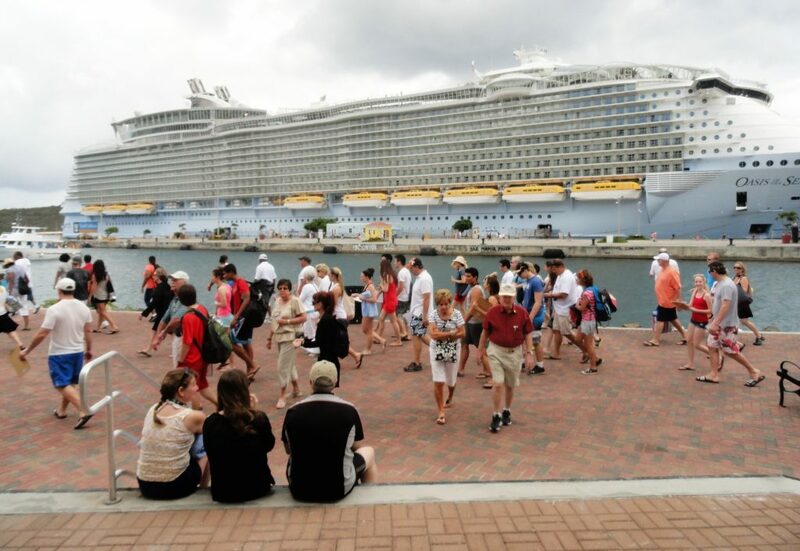 Recently, the online community shared its best intel for making the most of your cruise vacation with Royal Caribbean International—and it’s full of good tips. Advice for beating the crowds at our most popular activities. Comparing Royal Caribbean ships to “playgrounds for adults,” Cruise Critic noted that guests especially love active features on the ship, like the FlowRider surf simulator, RipCord iFly skydiving simulator, and zip line. If you want to feel like you have these rides all to yourself, try visiting them on embarkation day or when the ship is in port. Reserve admission at shows before you board. “Jaw-dropping Broadway, ice skating and high-diving acrobatic shows make Royal Caribbean one of our favorite cruise lines for entertainment,” says writer Gina Kramer. Noting that you can reserve your seats at these shows once you’ve booked your cruise, she advises doing just that, for peace of mind and to make sure you see them all. Make the most of all dining venues on board. Everyone loves the food in the main dining room, but Royal Caribbean offers a wealth of other complimentary dining and specialty dining options. Cruise Critic, for example, recommends the Solarium Bistro and Johnny Rockets for breakfast. Try the personal pizza station at Sorrento’s. Most people don’t realize you can customize your pie at a special station at Sorrento’s—which also offers gluten-free crust by request. Want to learn other cruise “hacks” from Cruise Critic? Read the full story here, and start planning how you’ll use their advice on your next cruise vacation.